I have some pretty amazing friends and what we talk about is healing. Come hang out with us and discover the many modalities my friends and I use to improve our own lives and the lives of those around us. Become a supporter of this podcast: https://anchor.fm/conversationswithfriends/support. 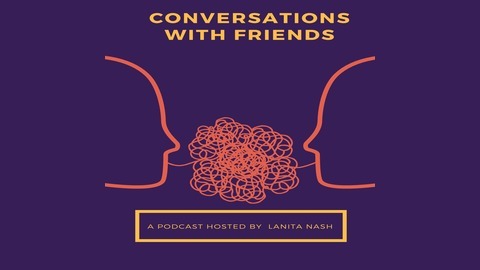 Conversations with Friends episode episode 25, is a conversation with a new friend and super powered soul Akilah S. Richards. I have followed Akilah for the last few years as an ally of the unschooling movement and was so grateful and excited when she agreed to sit and have a chat with me to share with you all! Akilah is a Certified Family LIfe Educator, self-defined digital nomad, podcaster, author, blogger and does it all with her unschooling family by her side. She is also a super deep and conscious soul, here to help support the freeing of bodies and minds from the constructs of colonization. I first came across Akilah's work through her podcast, Fare of the Free Child https://akilahsrichards.com/podcast/ and have since been introduced to the many great works Akilah has committed to contributing to the unschooling community and the society at large. This mother of 2 unschooling youth, is walking her talk and I am truly honored to be able to share her energy with the show!!! Please tune into Akilah through her website https://akilahsrichards.com/ and follow this mama's podcast on IG @fareofthefreechild and on FB @radicalselfie. Akilah is a founding board member of The Alliance of Self-Directed Education https://www.self-directed.org/ and talks a bit about this organization in today's show. If you are interested in self-directed learning, make sure you tune into this organizations work and support the movement! Thank you Akilah for sharing your time, love and energy with the show today! I am cheering your work on mama and am thankful to have you in my sphere of influence! You beam a light of possibility and making whatever IT is you want happen! Gratitude for your commitment and power mama. 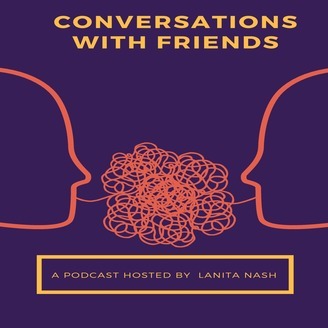 Conversations with Friends Episode 24 Ally and Nkisi Piro - Bonus meditation included!! !